New challenges or new opportunities? Storm clouds are gathering across the European economy, and as smaller companies become distressed this will be both a challenge and an opportunity for investors. In this fireside chat Anthony Robertson and Diala Minott discuss the changing landscape for small European companies, what can be learnt from the US, and how investors should be positioning themselves now to take advantage of it. Competition, underwriting, economic uncertainty- there's no shortage of topics for this panel of five of the most important figures in the European Direct Lending market. With European direct lending becoming so well established it is easy to forget how new an asset class it is, especially one that has never faced a down-turn. It looks like that is going to chance in the increasingly near future. Are managers seeing any signs of stress growing in their existing portfolios? How are they preparing for the inevitable challenges to come? What impact will weakening underwriting standards have on distressed situations? For European direct lenders adding external leverage is changing from being an option to a requirement to get up to the returns that investors require. Luckily for them banks are increasingly happy to help, but an opaque and illiquid market provides many financing challenges. Some of the most active banks in the space talk about their own approach and how they get comfortable, while managers give their view on making leverage work. Germany has always been a challenging market for direct lending with strong competition from regional bank lenders, but over the last year funds have become more active, and money is flowing into the space. What does a manager interested in German assets have to do to win the sourcing battle? Blessed with stable economies and supportive bankruptcy regimes the Nordic region is often seen as an easy alternative to the UK for direct lenders. How easy is it in reality to invest in the region, what challenges are lurking, and how much competition are managers seeing? The story of European lending over the last few years has been one of the slow retreat of regional banks and the gradual increase of alternative lenders. Italy has long resisted that change, but new legislation now makes it easier than ever for funds to invest in the space. Interest is growing, but unique challenges remain. Can investors get comfortable enough with the Italian economy and the Italian bankruptcy process to seize the new opportunities becoming available? There's a lot of talk about how direct lenders get better deal docs than their colleagues in the broadly syndicated space, but what is the reality. Fitch's Ed Eyerman lays out what they see when they compare larger loans, smaller loans, and unitranches, and second liens versus unsecured bonds. Everyone's favourite panel returns with a twist. This year we'll show four notable investors a series of pitches for new direct lending funds and ask them what they think of manager size, leverage, fees, fund formats, geographical focus and everything else they think about before they pull the trigger on a new investment. 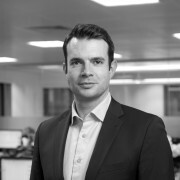 Dan Alderson is deputy editor of Creditflux, an Acuris company, where he is particularly focused on global credit trading (including single name CDS, indices, options, tranches, bespoke products, cross-asset solutions, relative value, QIS, cash credit). He also began his career at financial journalism at Creditflux, before leaving in 2011 to become IFIS editor at EuroWeek. After EuroWeek he became loans and derivatives editor for GlobalCapital. He joined Creditflux's sister publication Debtwire as Loans editor at Debtwire CEEMEA before rejoining Creditflux as deputy editor in 2018. Dan has a BA (hons) from the University of London. 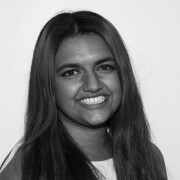 Michelle D'Souza is a reporter at Creditflux, where she covers private credit, with a focus on direct lending and credit funds. Anthony Robertson joined Cheyne SVC in August 2017 as Managing Partner and CIO of the Strategic Value Credit Group. Anthony has a multi-decade track record in fundamental, value-based investing, having previously overseen the development and growth of two early stage credit businesses. 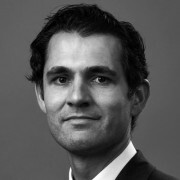 From 2004-2017, he was Partner and Head of Global Leveraged Finance at BlueBay Asset Management where he was responsible for establishing and managing the sub-investment grade platform, and spearheaded the inception of a number of more recent initiatives including Private Debt and Unconstrained Credit strategies. Prior to BlueBay, Anthony helped establish one of the first dedicated European high yield funds in 2000 at New Flag Asset Management, with top decile performance leading the firm to be acquired by Putnam. His tenure in sub-investment grade and distressed debt dates back to 1996 when he worked as a distressed debt analyst in the special situations group at West Merchant Bank in London. He had previously worked as a credit analyst in a division of Barclays ABSA Bank in South Africa from 1993 before moving to London. Anthony holds a Bachelor of Commerce degree in Finance from the University of Cape Town(undergraduate) and University of Natal (postgraduate, Honours). Diala Minott is a Corporate partner in the London office of Paul Hastings. Mrs. Minott specializes in structured finance transactions, including acting on numerous CLOs and CDOs—both pre- and post-crisis, as well as acting on bespoke hybrid mid-market CLO type funds. Her practice also encompasses debt and credit funds with a particular focus on direct lending, CLO equity and risk retention funds. She covers regulated and unregulated funds, both onshore and offshore, with a particular expertise in Luxembourg funds. 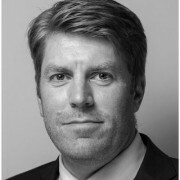 Graeme joined Alcentra in September 2004 and is the Head of European Direct Lending and Mezzanine Investments. He is also a member of the European Investment Committee and sits on the Investment Committees for U.S. Mezzanine funds. Prior to joining Alcentra, Graeme was an Investment Director at Intermediate Capital Group where he marketed ICG’s capabilities to private equity firms and originated and invested in numerous European mezzanine financings. Before joining ICG in 1998 he worked at the Royal Bank of Scotland for five years, with two years in the leveraged finance team in London. Graeme is a graduate of Napier University and a qualified accountant. He also received an MBA from Heriot-Watt University Business School, Edinburgh. 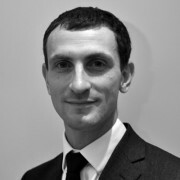 David joined Permira Debt Managers in June 2015 and is Head of Private Credit and a Partner. David is also a member of the PCS2 Investment Committee. Previously, David was Managing Director at Babson Capital Europe, where he was responsible for sourcing and transacting opportunities, and a member of the private debt investment committee. David has over 15 years of European credit experience. From 2000 to 2002, David also worked as an associate at UBS in London in Leveraged Finance and Financial Sponsors coverage. 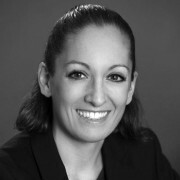 Cécile Lévi joined Tikehau Capital in 2013 and heads the Private Debt team. Previously, she worked at Ardian (previously AXA Private Equity) where she notably broadened the investment scope to include unitranche debt, with a strong focus on forming partnerships. 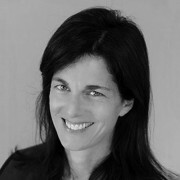 She began her career in 1988 at Merrill Lynch (Corporate Finance and M&A) in Paris and New York. In 1991, she joined Elig, a pioneer private equity fund in France. 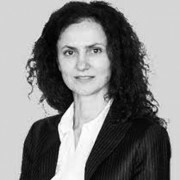 In 2001, she moved towards mezzanine debt investments, being appointed CIO at Omnes (formerly CAPE - Mezzanis). She was educated at HEC Paris. Fred Nada is a Partner of the Private Debt Group at BlueBay and was part of BlueBay’s Private Debt business from its inception in 2011. Prior to focusing on Private Debt, Fred was a key member of the High Yield and Special Situations team at BlueBay, where he worked from 2007 to 2011. In this role, Fred analysed investments, lead restructurings, as well as refinancings and disposals of portfolio companies. 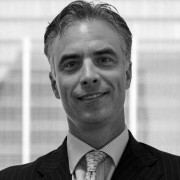 Prior to joining BlueBay, Fred was a Director of Credit Suisse’s Special Situations Group where he worked from 2005. Prior to this, Fred worked from 2001 to 2005 with Merrill Lynch, where he was a Vice President in the Special Situations Group. Before joining Merrill Lynch, Fred worked as a trader at Cogetex, a Geneva-based commodity trading company. Fred holds a BSC in Business Administration from the University of Geneva (HEC) and an MBA from New York University (NYU) Stern School of Business. 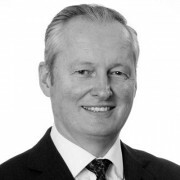 Neale Broadhead joined CVC Credit Partners in February 2014 as Managing Director and Portfolio Manager. Neale has been responsible for leading 150+ management buyouts in his career, having worked in both London and New York. 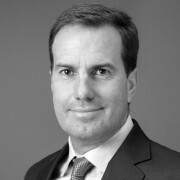 Prior to joining CVC, Neale worked at Lloyds Banking Group as Managing Director and Head of Mid-Market Acquisition Finance, which he founded in 2004 and also was a member of the Board Investment Committee as well as the Investment Committee for Acquisition Finance. 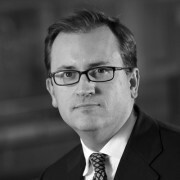 James Burns is a Managing Director of Crescent Credit Europe LLP focusing on European credit. From 2007 to 2013, he was a Senior Director in the Acquisition Finance team at Lloyds Banking Group where he was responsible for managing relationships with private equity sponsors. He previously worked in the Leveraged Finance Groups at ABN AMRO as a Director, WestLB as an Assistant Director and CIBC as an Associate. He has an MA in History from Cambridge University. Crescent is an alternative asset manager with over $24 billion of assets under management and over 165 employees as of September 30, 2018. Crescent is headquartered in Los Angeles with offices in New York, Boston, and London. Christian focuses on origination and execution across the Nordics and German-speaking Europe. Prior to joining CORDET in 2013, Christian was part of Credit Suisse’s Financial Sponsor Group working on origination, structuring and execution of financings for LBOs and other private equity related transactions. Before that, he worked at StormHarbour and Dresdner Kleinwort in leveraged finance. Earlier in his career, Christian served in the Royal Danish Armed Forces (Navy). Joe Knight is a Vice President at Wilmington Trust and focuses on marketing facility agent and security agent services to direct lenders across Europe. Prior to joining Wilmington Trust, Joe has spent more than 20 years in the leveraged loan market working on numerous market leading transactions and most recently has undertaken roles promoting the concept of the independent non-bank agent on new money and restructuring transactions. Earlier in his career, Joe spent 8 years at Lloyds Bank supporting the acquisition finance team and other related roles at ING Bank, Mizuho and Barclays Capital. Joe has a honors degree in Geography from the University of Bath. Arun Cronin is a Managing Director, and Head of Global Corporate Asset Finance and EMEA CLO at Credit Suisse. He is based in London, where he specialises in credit financing solutions, CLOs, credit structuring and RWA relief transactions. Before joining Credit Suisse in 2009 he worked at Merrill Lynch and Simmons & Simmons. Arun was educated at the University of Birmingham and at BPP Law School. Eric is Head of Corporate Private Debt at NNIP, and oversees a private debt portfolio of +EUR 2B for several institutional investors. Prior to joining NNIP, Eric spent 13 years with GE Capital and most recently was European head of the special investments group. Prior to that role, he was on the senior management team and head of capital markets and corporate finance for Mubadala GE Capital, a +5B private debt fund based in Abu Dhabi. Prior to joining GE Capital, Eric was a securities and capital markets lawyer for Clifford Chance in London and various law firms in Canada. He is a chartered financial analyst (CFA), has an MBA from INSEAD and a law degree from Laval University. Zeshan Ashiq is a Director in the Asset Finance Solutions team at Barclays. He is based in London, where he specialises in financing solutions across asset classes (most recently with a specific focus on European direct lending). 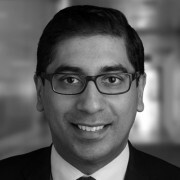 Zeshan has over 17 years’ experience in Structured Credit and Capital Markets both on the buy and sell side. He hold an MSc in Mechanical Engineering from Brussels University and an MBA from Hult International Business School. Paul Levy is a Managing Director of GreensLedge Europe. Prior to joining GreensLedge, Paul was a Managing Director at Hayfin Capital Management with joint responsibility for structured credit investment and CLO management. Previously Paul was the European Co-Head of FICC Structuring at UBS for two years as a Managing Director where he built and oversaw a team of 60 people that focused on structuring transactions across a variety of asset classes. Paul and has also held roles as a Partner at Prytania Investment Advisors where he focused of advising clients on their Structured Credit portfolios, as the European Head of Exotic Credit Structuring and a Managing Director at Merrill Lynch (2006-2008) and the co-head of Synthetic Credit Structuring at Deutsche Bank (2001-2006). Paul began his career in 2000 at Morgan Stanley. He has a BA (Oxon) in Mathematical Sciences from The Queen’s College, Oxford. 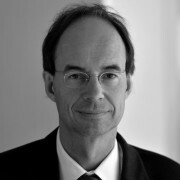 Klaus Petersen is a Founding Partner of Apera, responsible for developing the Apera platform and the business in the DACH region. Klaus has extensive direct lending experience gained over the past 17 years. Prior to forming Apera in 2016, Klaus was a partner at BlueBay Asset Management, responsible for building the German business and establishing BlueBay’s Private Debt platform from 2013 to 2016. 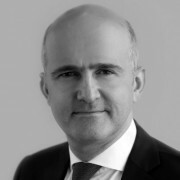 Before BlueBay, Klaus spent seven years at Park Square Capital from 2005 to 2013, where he was a partner and member of the investment committee and initially responsible for building the German business. In addition, Klaus co-led Park Square’s first Credit Opportunities Fund from 2007 and served as an interim CFO from 2009. Prior to joining Park Square, Klaus spent five years at Allianz Capital Partners from 2000, where he established, with colleagues, the mezzanine business of Allianz. 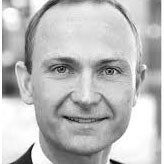 Before joining Allianz, Klaus worked as a lawyer in Freiburg and Cologne. Klaus graduated from Albert-Ludwigs-University, Freiburg in Law in 1995 and holds an LLM from Columbia University, New York, and a PhD in Law from the University of Freiburg. Dr. Theo Weber, Managing Director, is Head of Origination of Private Debt in Germany within BlackRock International Fixed Income, responsible for the sourcing and execution of middle market direct bond investment opportunities in the German market. Prior to joining BlackRock in 2016 Theo was Head of GE Capital's market leading Leveraged Finance team in Germany. With a team of eight he covered the German private equity market and led numerous mid-market transactions in leveraged finance. In addition, he was responsible for the GE/Ares joint venture in DACH (Germany, Austria and Switzerland). He joined GE Capital in 2007 with responsibility for healthcare investments (equity and debt). During his 9 years at GE he originated and executed numerous leveraged finance transactions across Europe including club transactions, syndicated lead deals and unitranche financings. He also represented GE in various occasions at private debt conferences and on panel discusisons. Prior to that he was leading Deloitte's and PwC's Private Equity Advisory practices closing several first time deals for UK private equity funds in Germany. Theo graduated at University Erlangen-Nuernberg and earned a PhD from University of St. Gallen, Switzerland. Mike founded Creditflux in 2001 and now works to expand its news and data to cover new markets and topics. Mikkel joined Capital Four Management from Saxo Bank in 2013. 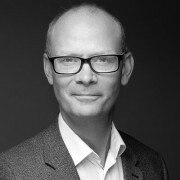 While at Saxo Bank Mikkel was initially responsible for the bank’s corporate finance and debt advisory business and subsequently for its loan origination. Prior to Saxo Bank Mikkel spent 8 years with Citibank, primarily based in London, where he as a Director and Senior Credit Officer held responsibility for a portfolio of the bank’s leveraged loan and stressed/distressed private debt in EMEA. 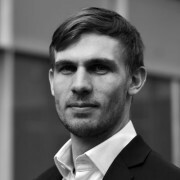 Mikkel holds an MS in Finance & Economics from Warwick Business School & University of Warwick and an MS in Economics from University of Copenhagen. 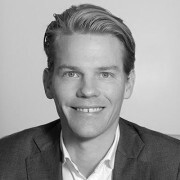 Oscar Geen joined Unquote in 2017 as a reporter, focusing on the private equity market in the DACH and Nordic regions. He was later promoted to senior reporter and is now news editor, overseeing the news content on unquote.com. He previously worked for Unquote sister publication Creditflux as a researcher, focusing on the CLO market. 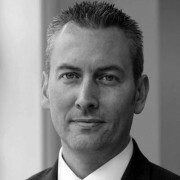 Alexandre Hökfelt joined EQT Partners in October 2011 and is a Director of EQT‘s Credit Team in London. 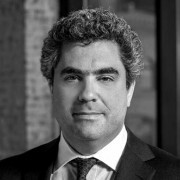 Prior to joining EQT Partners, Alexandre was involved in structuring financings for leveraged buyouts and levered corporates in the J.P. Morgan Acquisition and Leveraged Finance team in London. Alexandre holds an M.A. (Hons) in Management from the University of St Andrews. Graduated in Business Administration at Bocconi University, Milan.From 1995 to 2004 senior financial analyst in leading investment banks. Since 2004 responsible for the structuring and execution of structured finance and M&A transactions at La Compagnia Finanziaria S.p.A. and Fante s.r.l – Capital, Corporate and Wealth Advisors. Since November 2013 at Anthilia Capital Parnters as Investment Manager of Anthilia BIT. In April 2016 becomes Head of Private Debt and in March 2018 becomes partner of Anthilia Capital Partners. Edward Eyerman is a Managing Director and the Head of European Leveraged Finance at Fitch Ratings, based in London. Ed leads a team of analysts that rate over 300 leveraged transactions and produces timely reports and commentary on leveraged products and market developments. Prior to assuming management of Fitch’s European Leveraged Finance practice in 2005, Ed published special reports and commentary on developments in the European credit markets for the European Corporates Group. He is the author of numerous reports on creditor rights, inter-creditor arrangements, and the changing role of public and private credit markets in European Corporate Finance. In January 2006, he was elected to the Board of Directors of the European High Yield Association, a forum of the Bond Markets Association. Prior to joining Fitch in April 2003, Ed was an Investment Banker in Credit Suisse First Boston’s European Acquisition and Leveraged Finance and Telecommunications Groups. From 1997 to 1998, Ed was in the European High-Yield Origination and Credit Research groups at Deutsche Bank. He also worked for Merrill Lynch in New York from 1994 to 1997 as an Associate in the Corporate Bond Research Department covering Yankee bond issuers. Ed holds a BA in History from Holy Cross College in Worcester, Massachusetts and a Master’s Degree in International Affairs from Columbia University’s School of International and Public Affairs in New York. 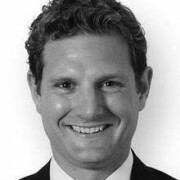 John Bohill is a partner on the private debt team at StepStone Global. Since Mr. Bohill joined StepStone in 2013, he has also been a director at Kish Capital, a distressed debt, real estate opportunities, and non-performing loan investor based in Dublin and Lisbon. Before joining Kish he acquired and operated several businesses on his own behalf, and was co-head of European technology and communications at BancBoston Capital, a principal private equity investor. Mr. Bohill graduated with first-class honours with a BBs in finance from Trinity College, Dublin. Leo focuses on providing research and advisory services to the firm’s institutional clients across the European private credit space encompassing corporate lending, distressed and opportunistic strategies. Leo is also responsible for sourcing opportunistic investment opportunities, maintaining GP relationships and fostering Aksia’s private credit &opportunistic presence in Europe. 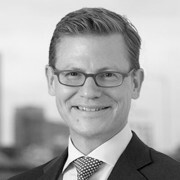 Prior to joining Aksia, Leo provided independent advice to private equity sponsors and portfolio companies on debt raisings,refinancings and restructurings across the European leveraged finance space for seven years as an Associate Director within Deloitte’s Debt Advisory practice.Leo spent an additional three years in Deloitte’s transfer pricing team. Leo graduated from the University of Manchester with a BA in Economics and is a CFA charterholder. In 2009, Chris founded Gapstow, an investment advisor specialized in managing alternative credit fund of funds. He is Gapstow’s Chief Executive Officer and Chief Investment Officer. Chris began his career as a strategic advisor to leading investment management companies beginning in Booz-Allen & Hamilton’s Banking & Capital Markets practice and later as a founding partner of Casey, Quirk & Acito, now the industry’s leading consultancy. In 2004, Chris left CQA to build Investcorp's Global Hedge Fund Group, which, at its peak, managed approximately $8 billion of client and proprietary capital in multi-manager funds, structured products, and single manager hedge funds. Chris graduated with a bachelor’s degree in Economics from Duke University and received his master’s degree in Economics from the University of Chicago. At The Peddie School in Hightstown, NJ, he served as Board Chairman, and is now a Trustee Emeritus and co-Head of the Investment Committee for the School’s $350 million endowment.